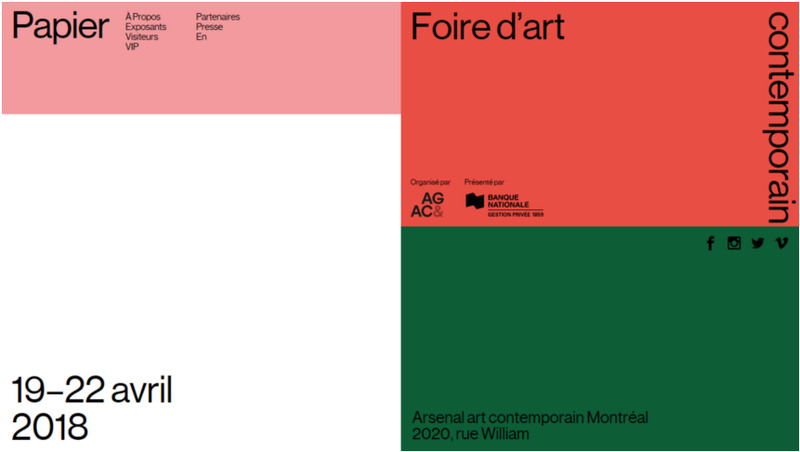 Don’t miss Papier 18 which will take place April 19-22 at L’Arsenal Art Contemporain in Montreal. We will be presenting at booth A 09 works from Chris Austin, Joey Bates, Robin Crofut-Brittingham, Osheen Harruthoonyan, Kit King, Bobby Mathieson, Sean Mundy, Mark Puchala, Jonathan Savoie, Mark Liam Smith, and Louis-Bernard St-Jean. We are also pleased to announce that we will have a solo booth of Hugo Alonso's works at VOLTA14 in Basel, Switzerland from June 11th to the 16th. More details will be announced soon.